The gum tree - 1770 - and 1642! "The soil wherever we saw it consisted of either swamps or light sandy soil on which grew very few species of trees, one which was large yielding a gum much like Sanguis draconis, but every place was covered with large quantities of grass." Sanguis draconis is Latin for dragon's blood and refers to a reddish coloured gum found oozing out of particular palm trees. The mangroves had also another trap which most of us fell into, a small kind of Caterpillar, green and beset with many hairs: these sat upon the leaves many together ranged by the side of each other like soldiers drawn up, 20 or 30 perhaps upon one leaf; if these wrathful militia were touched ever so gently they did not fail to make the person offending them sensible of their anger, every hair in them stinging much as nettles do but with a more acute tho less lasting smart. Upon the sides of the hills were many of the trees yielding a gum like Sanguis draconis: they differed however from those seen in the last harbour in having their leaves longer and hanging down like those of the weeping willow, tho not withstanding that I believe that they were of the same species. There was however much less gum upon them; only one tree I saw had any upon it, contrary to all theory, which teaches that the hotter a climate is, the more gums exude. The same observation however held good in the plant yielding the yellow gum, of which tho we saw vast numbers we did not see any that shewd signs of gum. "The land is pretty well cloathed with long grass, wood, shrubs etc. The whole country abounds with an immense number of ant hills, some of which are 6 or 8 feet high, and more than twice in circuit. Here are but few sorts of trees beside the gum tree, which is the most numerous, and is the same that we found on the Southern part of the coast, only here they do not grow near so large." That both Banks and Cook refer to the gum trees in such an easy manner would seem to indicate that the botanists on the Endeavour had bestowed the now national name on the most common trees they saw and were frequently using it. Cook had stopped and gone ashore briefly on three other occasions between Botany Bay and Endeavour River. 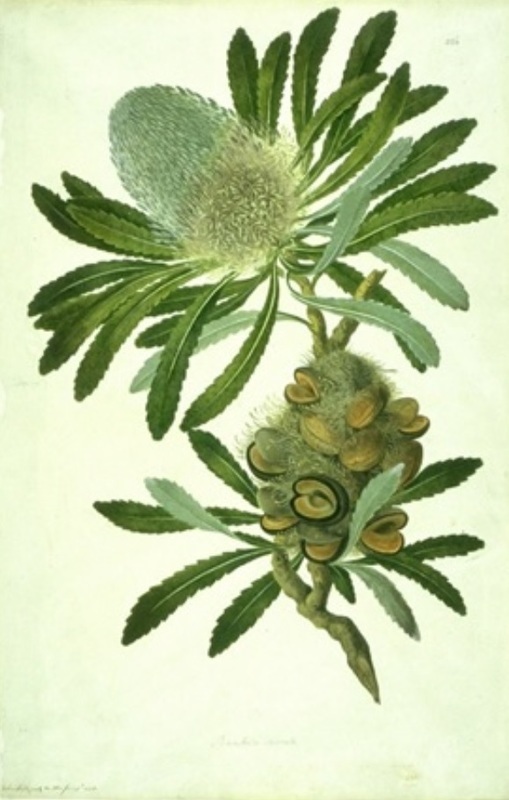 The illustration is of Banksia serrata attributed to John Frederick Miller but likely based on sketches by Sydney Parkinson, artist on the Endeavour. About three hours before nightfall the boats came back, bringign various samples of vegetables which they had seen growing there in great abundance, some of them in appearance not unlike a certain plant growing at the Cape of good Hope and fit ti be used as pot-herbs. On the ground they had observed certain footprints of animals, not unlike those of tiger's claws; they brought on board certain specimens of animal excrement voided by quadrupeds, so far as they could surmise and observe, together with a small quantity of gum . . . which had exuded from the trees. For those who don't know, the town of Euroa is in the state of Victoria, Australia. 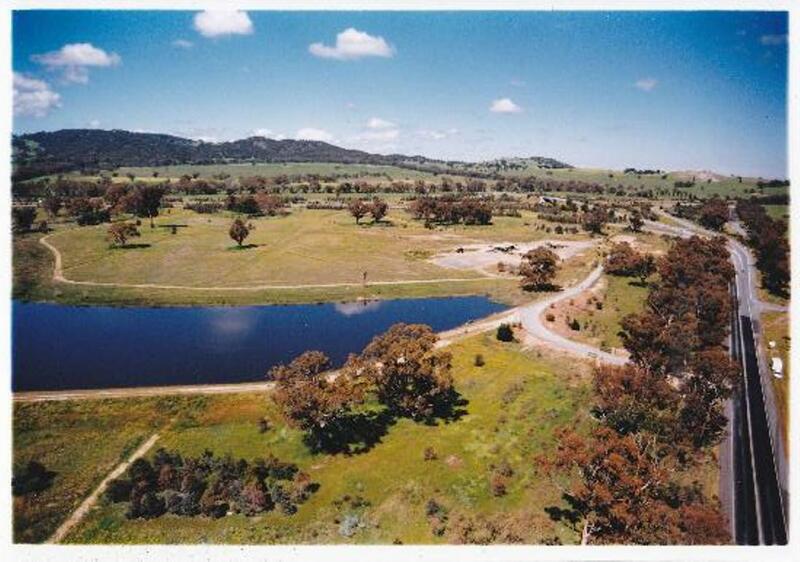 Enthusiastic volunteers initiated the Euroa Arboretum in 1994 with the aim of "growing back the bush". The Euroa Arboretum receives funding from various State government departments and generates its own income from the sale of native plants. Its operations are supervised by an entirely volunteer committee. 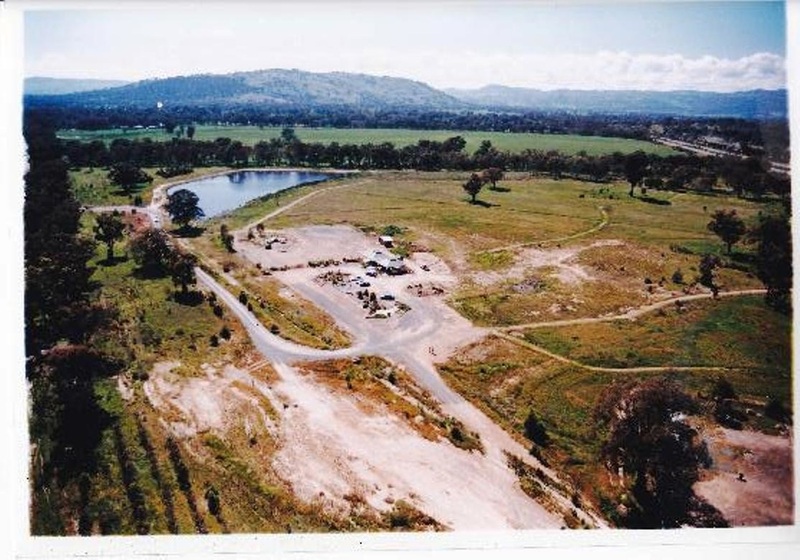 The site chosen had been a storage deport for construction of nearby sections of the four lane Hume Freeway during the eighties and nineties. On this page you'll see pictures taken from its beginnings until May 2016 when the current photo project was started. The two photos below show the area in 1996 after the picnic shelter had been put up. Note how bare of tree cover the area is. The dam was not a natural feature but resulted from excavation of 'fill' for the Freeway. It is regularly stocked with fish. Please note fishing is prohibited in many stretches of the creeks that run off the Strathbogie tableland and through the land surrounding Euroa.